In the fourth quarter of 2018, R. Ross and C. Rogus of Santa Clara, California, filed a class action California unpaid wages lawsuit against Hewlett-Packard Enterprise (HPE). The lawsuit describes a discriminatory pattern demonstrating gender-based pay discrepancies at the company. We’ve seen tech giants in the news before for similar practices and facing similar allegations, but this case does present a few interesting issues. 1. Wage history perpetrating discrimination. 3. Using Secret Wage Classification and Promotion Systems to easily avoid meaningful reform. In this California unpaid wages lawsuit, Hewlett Packard is accused of systematically paying female employees less than their similarly situated male co-workers and failing to advance them at the same rate as male employees performing similar work at a similar skill level. The business practices are apparently in place throughout all of California and are built on preexisting practices at Hewlett-Packard. As of January 1st, 2018, employers in California are prohibited from asking job applicants about their salary history or using a salary history to determine what salary to offer a new employee. This was an effort to decrease the long-term effects of past salary discrimination. This law, however, does not offer protection to workers hired prior to that date or current employees who are seeking an internal promotion. Long-term workers who are seeking to make a career with a single employer will not find assistance for past pay discrimination in the law that went into effect January 1st, 2018. In the complaint against HPE, it is alleged that long-term employees tend to stay at the lower-paid job level 1 or 2. In comparison, new hires start at or quickly rise to a higher paid level 3. Raises at the company are based on a percentage of the employees’ existing HPE salary, so they not only support the gender pay gap, but widen it. The longer a female is employed by HPE, the less she will be paid in comparison to her male counterparts even when fulfilling similar job duties at an equal or better rate. Gender discrimination paired with age discrimination combine to leave older female employees double affected. Pay secrecy policies are still a common practice, particularly in the tech industry. Policies requiring silence about pay have been prohibited in most industries since 1935 by the National Labor Relations Act. Pay secrecy policies are also banned by California Labor Code section 232. Since 1985, the law has specifically prohibited the requirement of any employee to refrain from disclosing their wage or requiring an employee to waive the right to discuss their wage, or to discipline an employee for discussing their wage. Yet many employees are unaware of their rights and many employers still discourage (officially or unofficially) pay secrecy. Similarly, when wage and promotion structures are not transparent, workers are prevented from acting on discriminatory behavior. Many employees are reluctant to act or share information with co-workers but find themselves suffering from vague or opaque employer pay scales and promotion structures. If you are suffering from the effects of gender-based pay discrimination or you need help seeking equal pay in the workplace, please get in touch with one of the experienced California employment law attorneys at Blumenthal Nordrehaug Bhowmik De Blouw LLP. In the wake of the recent #MeToo movement, many are starting to speak out about the fact that mandatory arbitration agreements may be particularly bad for women. 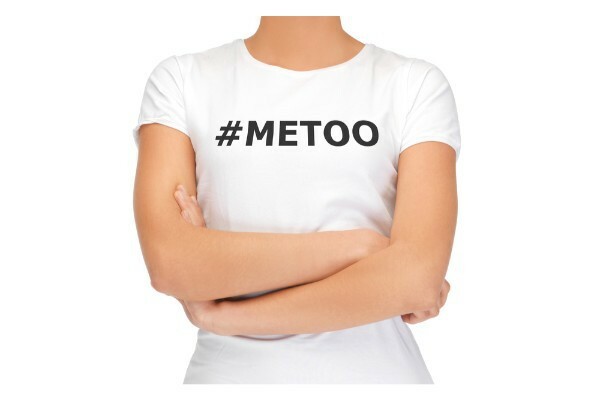 When the #MeToo movement resulted in more and more female workers coming forward to report instances of sexual harassment in the workplace at companies like Fox and the Weinstein Company, many of them quickly realized that they would not be able to seek justice in the courts because of arbitration agreements they were required to sign as employees. For instance, Gretchen Carlson, former Fox News anchor, signed a required mandatory arbitration agreement. She sued former Fox News CEO Roger Ailes for sexual harassment and received an undisclosed settlement. But she was not able to sue Fox News for their rose in allowing the sexual harassment to continue. Dozens of other women who experienced similar situations at Fox found themselves in the same situation. As more women come forward to speak out about sexual harassment on the job, many are putting the pressure on Congress to take action and restrict or even eliminate arbitration clauses from US workplaces. October 2017 – The Mandatory Arbitration Transparency Act was introduced. The Act prohibits businesses from including a confidentiality clause in arbitration agreements in connection with discrimination claims. December 2017 – The Ending Forced Arbitration of Sexual Harassment Act was introduced exempting sexual harassment cases from mandatory arbitration. February 2018 – 56 state attorneys general (5 from US territories) weighed in with a letter urging congressional leaders to vote on the bills. March 2018 – The Arbitration Fairness Act was proposed, which would let workers and consumers decide where they should pursue their legal claims. October 2018 - The latest bill, the Restoring Justice for Workers Act, would prohibit employers from banning class-action claims. If you need to speak with an experienced California employment law attorney because you are experiencing labor law violations and aren’t sure how to seek justice, please get in touch with us at Blumenthal Nordrehaug Bhowmik De Blouw LLP. On Oct. 30th, 2018, House Democrats introduced the Restoring Justice for Workers Act, a bill intended to protect the rights of millions of US workers to access the court system. The Act would ban companies from requiring workers to sign arbitration clauses and would impact millions of workers across the nation. The policy of requiring that employees and applicants sign arbitration agreements is now common practice. In fact, most sign one before they are ever officially hired. By signing the arbitration agreement, workers are essentially waiving their right to sue the company for potential violations of labor law (i.e. sexual harassment, racial discrimination, age discrimination, wage theft, wrongful termination, etc.) According to the terms of an arbitration agreement, employees with legal claims would need to take those claims to private arbitration; a forum without a judge or jury and with almost no government oversight. A fairly secretive process, private arbitration means that workers are significantly less likely to win their cases. If they do prevail in their case, they generally receive far lower settlements than if the case had been handled in the court system. The new bill is fairly simple – employers would not be allowed to require that workers sign arbitration agreements and would also be prohibited from retaliating against anyone who chooses not to sign. It would be illegal to require employees to waive their right to join a class action lawsuit or file legal claims in arbitration as a group or class. To make it through both chambers of Congress, the bill would need bipartisan support, but supporters do not expect Republican leaders to show much interest as they haven’t been interested in other legislation aimed at limiting mandatory arbitration in the past. Whether the bill is passed or not, controversy over mandatory arbitration agreements continues to escalate. If you have questions about mandatory arbitration agreements or how to join a class action lawsuit, please get in touch with one of the experienced California employment law attorneys at Blumenthal Nordrehaug Bhowmik De Blouw LLP.